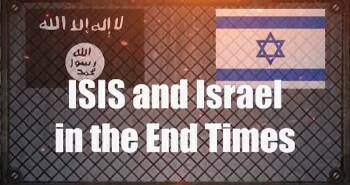 Does the Bible prophesy a day that will shock the entire world? 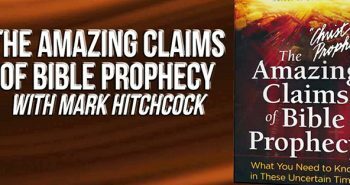 Mark claims the Bible prophesies a day that will shock the world. Just what kind of day is this that causes so much distress? Mark Hitchcock: The day is, of course, the Rapture of the Church. First Corinthians 15 prophesies that a certain people shall not all sleep, meaning they will not all die. Not everybody will face death. “We shall not all sleep, but we shall all be changed in a moment, in the twinkling of an eye.” Not everybody is going to fall asleep, meaning not everybody is going to die. An entire generation of believers in Christ are going to do an end run on the grave! When that shocking day finally and gloriously arrives, the Rapture is going to happen in a moment, in the twinkling of an eye. Millions of Christians from all over this earth are going to suddenly disappear. They are going to be caught up to be with the Lord, as 1 Thessalonians 4:17 tells us. No day is going to be more dramatic than since the floods of Noah began drowning the whole earth. We have no idea how just how much this is going to change the world. Millions of people suddenly gone, why such a miraculous event could only shock the world. The Rapture is going to be secret in the sense that it is going to be sudden, and people will not know when it is coming. But, it is going to be anything but secret when it happens. Millions of people suddenly disappearing from all over the earth, well that can’t be something that’s kept secret. There are Rapture scoffers who often talk about how those of us who believe in the Pre-Trib Rapture believe in a “Secret Rapture.” It’s not going to be secret because it’s going to be sudden, and it’s going to be shocking to the world. How could an event that cataclysmic be something that’s secret? The Rapture I believe majorly shifts the whole world. We have no idea what a game changer that’s going to be, but it’s going to be huge. The world will look like it is today, but after the Rapture, we will not be able to recognize how different a world it will be. Events then will align exactly as the Bible predicts, and that includes the Rapture of the Church. How horrible the Tribulation will be! Thankfully, we know from the Bible that God has promised that believers in Christ in this Church Age will not have to suffer God’s wrath. God’s promise gives me great hope! The Rapture is indeed our blessed hope. One of my friends used to say, “We’re going to get an airlift, accompanied by a facelift.” That’s a great reminder for us as believers. Christians are leaving to go be with the Lord before the Tribulation commences. We’re not escapists. We certainly don’t believe that somehow we are so wonderful that we don’t deserve to be persecuted. After all, a great persecution exists for Christians right now. There’s tribulation — small “t” — in this world for Christ’s followers, but we are promised in verse after verse exemption from Tribulation — capital “T” — meaning the wrath of God that is soon to come. And for that, we as God’s people should be thankful for His mercies. Jesus is returning at any moment, and He will be calling His faithful to live with Him forever! Bible prophecy is the greatest apologetic for the truth of the Bible, because of all of the prophecies in the past that have since been fulfilled, and really with such stunning accuracy. Fulfilled prophecy grants believers in Christ hope that the prophecies that are yet unfilled will also be fulfilled, and with 100% accuracy. Fulfilled prophecy gives us hope in Christ’s future victory. The Bible runs on a 100% proven track record with fulfilled prophecy, being accurate in all the events that it predicts. Such a record should give you hope, as it gives me hope. Fulfilled Bible prophecy also proves that the God of the Bible that we believe in is the one true God, and that the Bible is the very Word of God. Therefore, everything we read about in Scripture is true. The stories we read about concerning Jesus were true. The characteristics we read about concerning ourselves, such as our sinfulness and need of a Savior, are also true. Humanity’s need for salvation through Jesus Christ, and His resurrection from the dead, are true as well. And so, the Bible is reliable. The Bible gives us hope for the forgiveness of our sins and salvation from the just penalty of Hell. The Bible gives us hope for the future in that once saved, the punishment for our sins no longer hangs over us, and the wrath of God against us is abated. Hope springs eternal as we believe the truth that Jesus will come back at any time to intervene in human affairs and catch His “Bride” away to live forever in Heaven with Him. For those who have never put their faith and trust in Jesus Christ as Savior, today is the day. My favorite verse in the Bible is 2 Corinthians 5:21 exclaims, “God made Him who knew no sin to be sin for us, so that we can become the righteousness of God in Him.” So, if you’ve never trusted in Jesus, you can trust in Him now, and He will give you His very righteousness. The same God who has made these predictions in the Bible that have come true with 100% accuracy, He is the God who will save you. Jesus promises to wash away yours sins and give you the gift of eternal life when you put your faith in Him. You can believe in that promise. Believe that great promise of Scripture that He who began a good work in you will perfect it until the day of Jesus Christ. May you receive that free gift right now, that pardon that Jesus purchased for you when He died on the cross. Ask Jesus to be your Savior. 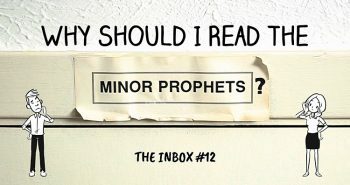 Next PostThe Inbox: Why Should I Read the Minor Prophets? Nathan I have a question that pertains to today’s topic. If I remember correctly in your Revelation series, the Bible says that when Jesus returns for his bride in the Rapture, that the dead believers will be taken up first and then we believers still alive will be taken up. I hope and pray that the Rapture will happen in my lifetime, but as a believer what will happen to me should I die before the Rapture? I have always heard that a true believer goes to Heaven when they die, but what about Jesus taking up the dead believers ahead of those still alive at the time of Rapture? Your teachings are a true blessing to this newly saved believer!!! Excellent question, Mark! 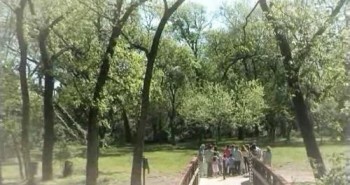 For info on what happens after you die, check out http://www.lamblion.com/articles/articles_eternity1.php, and on Heaven at http://www.lamblion.com/articles/articles_eternity2.php, and http://www.lamblion.us/2011/05/fhco-your-future-in-heaven-part-1.html, or watch online our “Christ in Prophecy” series about Heaven at http://www.lamblion.com/television/programs.php#Heaven. I Checked them out. Correct me please if I didn’t “get it”. The Spirit of the Believer who dies before the Rapture will be with Jesus, but not in Heaven. At the time of the Rapture, Jesus will unite the Spirit with a glorified body and be brought to Heaven followed by the Believers still on Earth. I think it is the “with Jesus but not in Heaven” part that has me confused, since I feel I am with Jesus now, so the in between part from now and then Heaven of being “with Jesus” seems cloudy to me. Does that make sense or am I trying too hard to understand something that is plainly in my face? I did read the articles. When a believer dies today, his soul is taken directly to Heaven where he resides in an intermediate body until the time of the resurrection. A picture of this, martyred believers during the Tribulation are pictured in their spirit bodies standing before the throne of God clad in white robes and waving palm branches (Rev. 7:1-9). They are fully conscious as they sing, “Salvation to our God who sits on the throne, and to the Lamb” (Rev. 7:10). What about Paul’s message in 1 Corinthians 15: 20-26, as well as 15: 50-58? These passages tell the complete story about the timing of the Rapture. It will take place at his coming at the last trumpet. The Rapture may happen on the Feast of Trumpets, but that’s assumed because the last four feasts were fulfilled prophetically exactly. Still, it’s only a supposition, and some argue the Second Coming may be the more likely candidate. But, I tend to believe the trumpet heard at the Rapture the Bible is referring to may well be the last of the Feast of Trumpets during the Church Age. For more on the feast God has most likely appointed to express the Rapture, please see http://www.lamblion.com/articles/articles_jews3.php for more details. 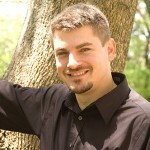 Also check out our “Christ in Prophecy” interview with Michael Norten who wrote a book on the Feasts at http://www.lamblion.com/television/programs_interview34.php. What about 2 Thessalonians 2:1-5 where Paul says that our gathering to Christ does not take place until the mass apostasy and the revealing of the anti-Christ has occurred? 2 Thes. 2 shows the state of mind of the church at Thessalonica. They were worried that due to a false letter they had received that somehow they were living in the “Day of the Lord,” which is the 7-year Tribulation culminating in Jesus’ Second Coming (Joel 1:15; 2:1-2,11, 31; Acts 2:20; 2 Thes. 2:3; Rev. 6:17). The Day of the Lord, Paul is assuring the Church, will not happen until the Antichrist makes a peace covenant with Israel for 7 years (Dan. 9:27) and a great rebellion or falling away from God occurs. The Bible makes it clear that the Tribulation is God’s wrath poured out upon the unbelieving world, and not for those who are saved from Christ’s resurrection to the Rapture – called the Church. True believers in Christ during the Church Age, represented by the Church of Philadelphia, are promised in Revelation 3:10, “Since you have kept my command to endure patiently, I will also keep you from the hour of trial that is going to come upon the whole world to test those who live on the earth.” Paul states in 1 Thessalonians 1:10, “and to wait for his Son from heaven, whom he raised from the dead—Jesus, who rescues us from the coming wrath.” He also states in 1 Thessalonians 5:9, “For God did not appoint us to suffer wrath but to receive salvation through our Lord Jesus Christ.” Romans 5:9 states, “Since we have now been justified by his blood, how much more shall we be saved from God’s wrath through him!” Ephesians 5:6 states, “Let no one deceive you with empty words, for because of such things God’s wrath comes on those who are disobedient.” Colossians 3:4 states, “When Christ, who is your life, appears, then you also will appear with him in glory.” Again and again, Scripture states the Church is not meant to endure God’s special time of wrath. Paul earlier gives the Church of Thessalonica and all believers encouragement in the hope of the Rapture that we will not live into this terrible time (1 Thes. 4:18). And so, later in 2 Thes. 2:5 Paul reminds them of this teaching so that they don’t have to worry. He also encourages the church in verse 15 to hold on to these teachings on the Rapture so as not to be swayed by false teachings, and so we have the “eternal encouragement and good hope” that the Lord gives to strengthen us. Now, for those who become saved during the Tribulation, Revelation 7:14 tells of a “great multitude that no one could count, from every nation, tribe, people and language, standing before the throne and in front of the Lamb” who had “come out of the great tribulation.” Revelation 20:4-5 says they were “beheaded because of their testimony of Jesus” and “had not received his mark on their foreheads or their hands,” indicating those at the altar are martyred for their faith in Christ during the Tribulation, both Jew and Gentile. Other than the 144,000 Jewish evangelists set apart and sealed (Rev. 7), according to the Bible believers in Christ will suffer immensely during that time period and are not miraculously protected as some would argue. This group of believers are not the Church, though, who have already been raptured to Heaven. Great article, Nathan! And the Q&A in the comment section is most helpful. Thank you for all the references provided. Thanks again for this wonderful, encouraging message, Nathan!! Good eyes, Connie, thank you! I have thought so much about how many friends and relatives who are not believers will be shocked and dismayed that they doubted the truth of God’s word. I know many of them will be unconsolable. We can try to lead people to Christ, but their hearts will determine what to believe, and God will lead them to faith, we can only plant the seed of truth, and hope it grows within them. Nathan, I sure wish more people would understand what the tribulation will be like, when the Church and the Holy Spirit has been taken from the world, and those who are still here will go through a drastic and terrible change. 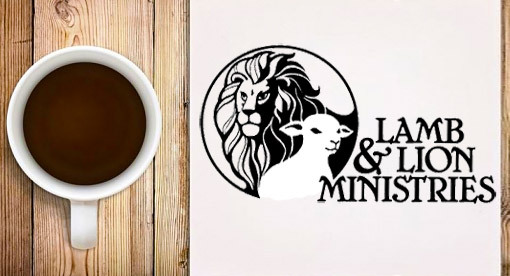 I am glad Lamb and Lion has commentary on their website, and also articles in Lamb & Lion magazine. I believe that some are waiting to be Saved. This is not good. You don’t want to die wiithout Christ in your life. Please wake up. The Rapture is around the corner, I truly believe this in my heart. Of that day or hour NO one knows only God. I am ready. Come Lord Jesus.